The design and construction codes in Australia and New Zealand provide minimum performance standards for anchors in safety critical applications including under seismic load conditions. 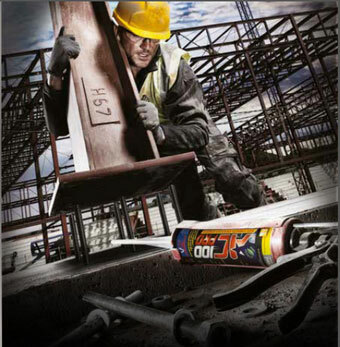 Powers have developed our Powers Plus range of high performance anchors to meet and exceed these requirements and provide assurance for specifiers, builders, contractors and tenants. Standard Australia Technical Specifications SA TS 101:2015 “Design of post-installed and cast-in fastenings for use in concrete” was introduced in 2015 to provide minimum design requirements for fastenings used to transmit loads to concrete for safety-critical applications. It has been developed, following extensive consultation with the fastening industry, to improve the safety standards and quality, across the construction industry and to assist designers and engineers specify anchoring systems with confidence. The Australian National Construction Code 2016 (NCC) now references SA TS 101:2015 as a means of satisfying the performance requirements provided the solution is assessed according to one or more of the appropriate assessment methods. As SA TS 101:2015 is based on European Standard prEN 1992-4:’Eurocode 2: Design of concrete structures – Part 4: Design of Fastenings for use in concrete’. Anchoring products with a current European Technical assessment (ETA) report are considered to be suitable under SA TS 101:2015 requirements and meet the Deemed to Satisfy requirements of the NCC. The Powers Plus range includes many mechanical and chemical anchoring systems that have ETA reports and can be used with confidence to meet the new NCC requirements. The SA TS 101:2015 design provisions do not apply to anchors exposed to seismic actions, however US or European methods may be applied in these cases. NZS3101:2006 refers to ACI 318, Appendix D for design of anchors that have passed the ACI355.2 requirements. NZS4219:2009 requires post-installed mechanical anchors to pass the tests outlined in ACI355.2 for seismic applications.. Therefore, the products with an ICC-ES report based on ACI 355.2 test requirements satisfy the New Zealand Seismic requirements. Powers Plus anchoring systems include products with ETA and ICC-ES reports.